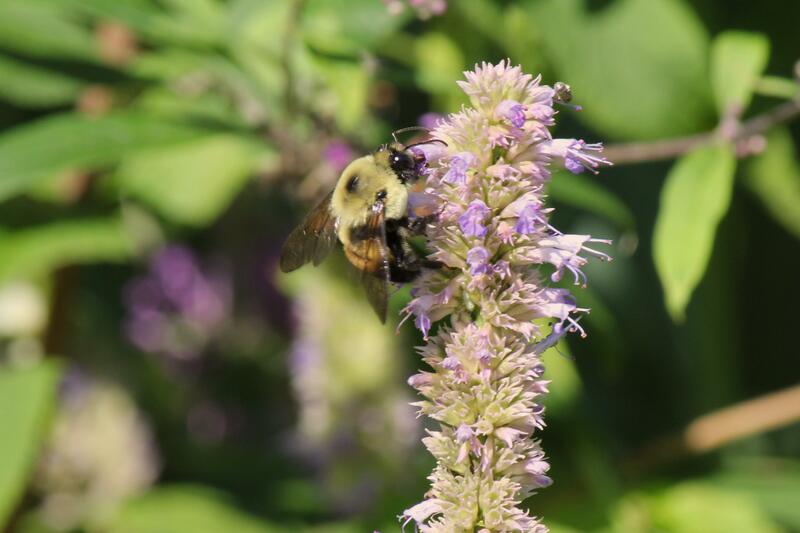 Pollinators need your help! They are disappearing in alarming numbers. In fact, the first bee has been added to the endangered species list. There is increasing evidence that many pollinators are in decline. However, there are some simple things you can do at home to encourage pollinator diversity and abundance. Choose plants that flower at different times of the year to provide nectar and pollen sources throughout the growing season. Pollinators prefer their plants in clumps, rather than single plants. By planting diverse shapes and colors of flowers you will attract a diverse group of pollinators like bats, hummingbirds, bees, butterflies, etc. Think diversity. Whenever possible, choose native plants. Our native pollinators like their native plants. 2) Provide Nesting Sites. Different pollinators have different needs for nesting sites. Hummingbirds typically nest in trees or shrubs, and use plant materials, mosses, lichens, and spider webs to construct their nests. They have been known to nest in hanging baskets on people's porches, but typically their nests are very hard to find because they prefer the tips of branches in very high trees. Many butterflies lay eggs on specific plants (host plants) that their young (caterpillars) eat. 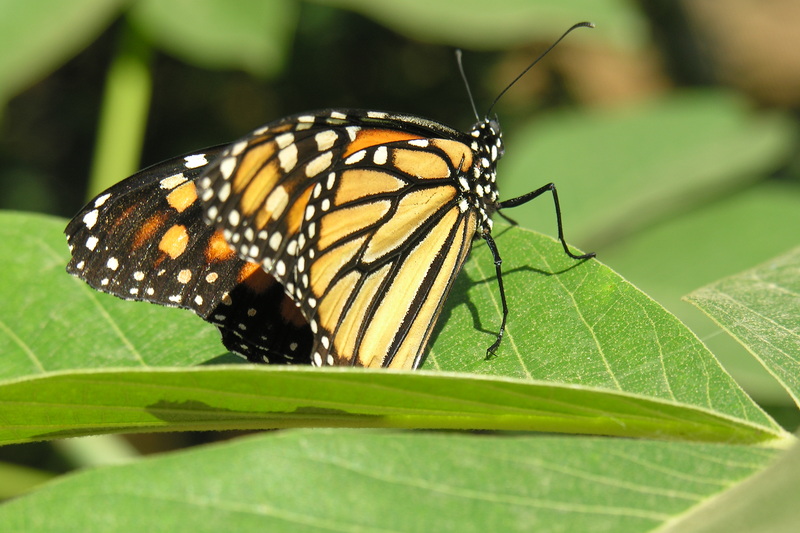 For example, monarch butterflies lay their eggs on milkweed plants. Tiger and black swallowtails eat anything in the carrot family, like parsley. Ground nesting sites for bees: If you have space on your property leave room for a small patch of well-drained soil or spot that can be left alone. Bees prefer leaf litter, as do some butterflies and moths. It shouldn't be too overgrown, either. It is best if the site faces south so that it gets the most sun possible during the day, and is not hit by irrigation or your sprinkler. Wood nesting sites: Ask anyone who owns a wooden home and they will tell you how destructive carpenter bees can be, but they are among nature's most proficient pollinators. To keep them away from your home, give them a small woodpile of their own. If it's out of the way, leave a dead tree up for them. "Bee blocks" have been used for years in Europe to attract solitary bumble bees and can be highly ornamental in the garden. Just get a plastic pipe and put some twigs in for a simple and quick "bee block." 3) Avoid or Limit Pesticide Use. Pesticides kill more than the target pest. There is great concern in the honey bee community that spraying for mosquitos is causing the decline of many pollinators not just the honey bee. Some pesticide residues can kill pollinators for several days after the pesticide is applied. 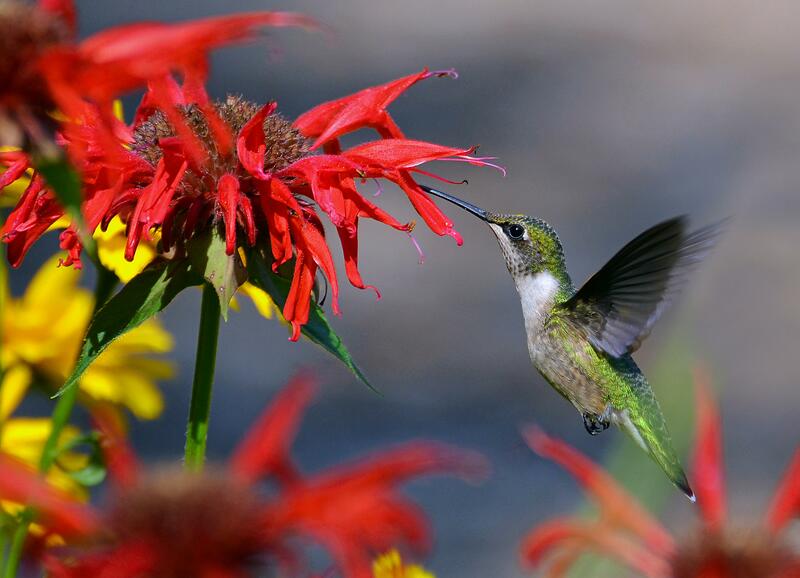 Pesticides also kill the birds that eat and rely on pollinators. By encouraging native predators like garden spiders and praying mantids to do the job of pesticides, you are helping the pollinators in your garden. And one last tip: Be accepting of a little pest activity in your landscape. By doing so, you are not just helping the pollinators in your world but every being in it, including yourself.